This medium volume sprinkler gun is suitable for use in general field irrigation on solid set travelers, center pivots, etc. Changing from part to full circle is easy by adjusting trip stops. Komet #163 shows good performance on windy conditions. 1½” female NPT base. 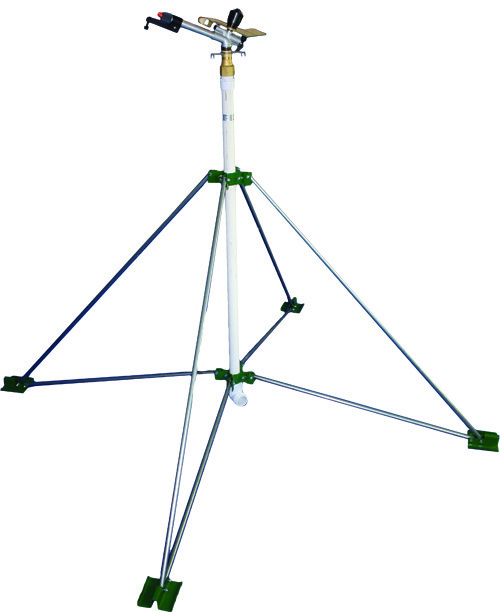 This rugged stand will fold for carrying through standing corn. Is height adjustable and has flex-feet for stability. Includes PVC riser with 2” male NPT base connection. 1½” male NPT on top. Manufactured by Rain-Flo Irrigation. Optional 1½” x 5’ aluminum riser pipe; a straight pipe with 1½” MPT ends. Komet Twin Ultra line are one of the better large guns! 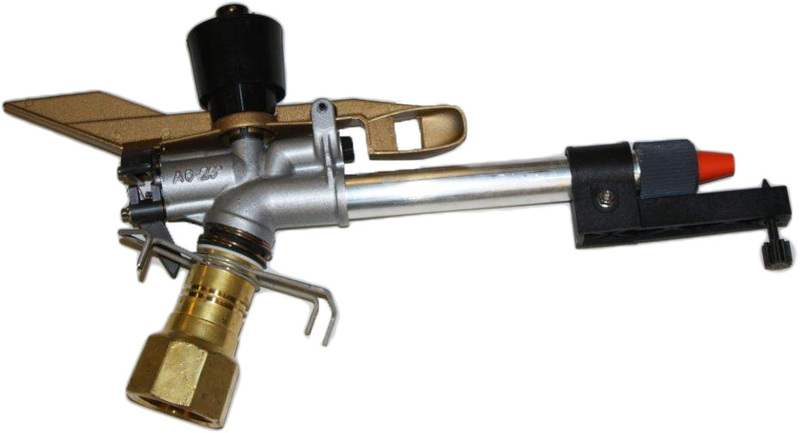 Operates with lower pressure; hand-adjustable; very uniform spray. 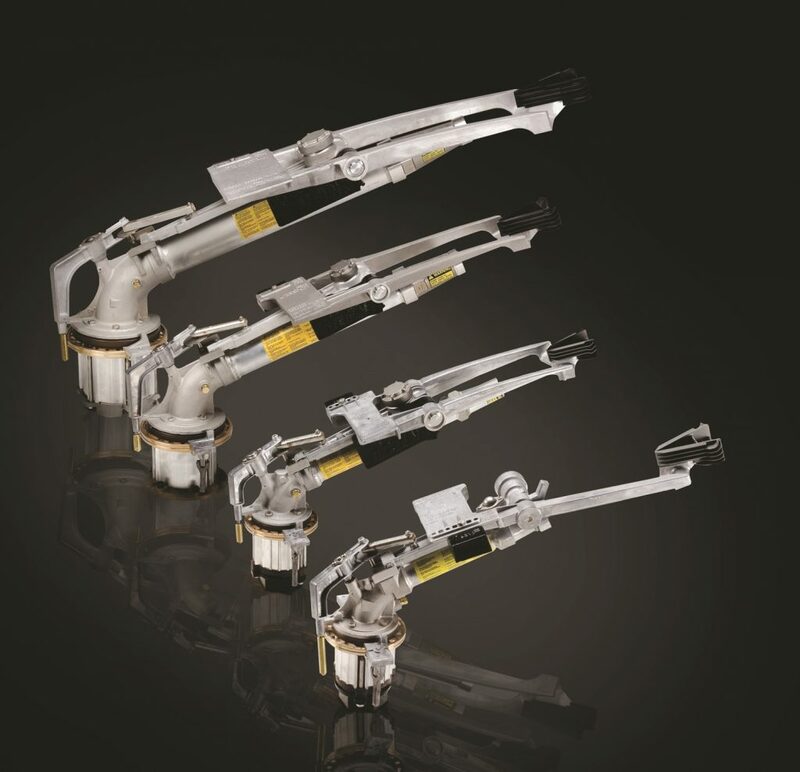 Braking system automatically adjusts to pressure. * Price includes one extra nozzle. World’s Number One Gun In the field of high volume gun type sprinklers, Nelson Big Gun is recognized as the world’s leader in quality and performance. Nelson’s most advanced design, the SR Series BIG GUN is available in an expanded range of sizes including the SR100, SR150, and SR200. 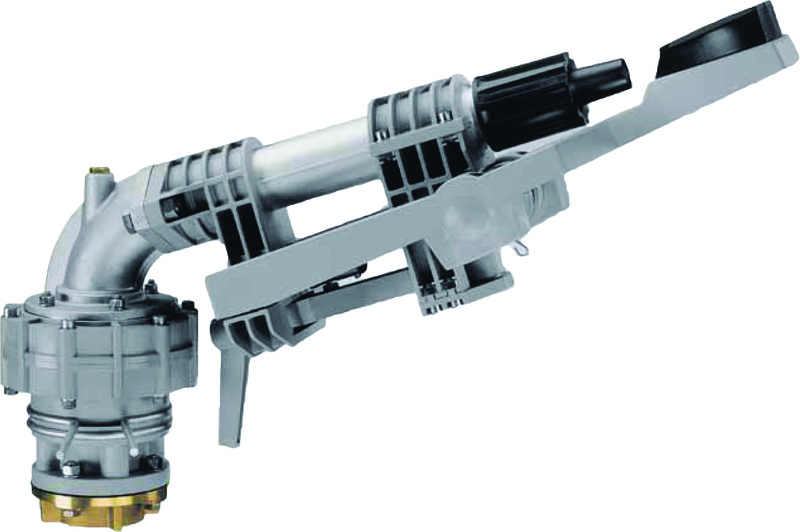 So whether you plan to use it on a traveler, as a center pivot end gun, on a solid set irrigation system, or for dust control or waste disposal, there’s a Nelson SR Series BIG GUN to handle the job. And you can be assured it is engineered and precision manufactured for heavy duty reliability and long wear life with minimum maintenance. Every Nelson BIG GUN is subjected to the toughest inspection, testing, and quality control standards in the industrial-strength individual water testing at the factory.